A neck lift will automatically create the impression that you have lost weight and in almost all instances will also make you appear younger. Loose, excess skin and fatty tissues beneath the jaw lead to a double chin, hanging skin and a loss of your youthful contour. Although some Mission Viejo and Orange County patients who have only excess fat in the area can achieve great results with liposuction, excessive loose skin must be removed in order to tighten the area properly. Frequently Dr. Sikorski will perform both procedures at the same time. A small incision under the chin allows for direct tightening of the neck’s superficial muscles to establish a better angle between the neck and jaw line and to eliminate neck “bands” that often show up as we age. The result is a tighter, more youthful neck and jaw line which can take years off your appearance. Recovery time is brief and discomfort is minimal. Whatever the reason you wish to have a neck lift, Mission Viejo and OC patients of all ages undergo neck lift procedures and it is becoming one of the most frequently asked for cosmetic surgical corrections. The neck lift incision begins in front of the ear lobe and wraps around behind the ear ending in the lower scalp. Dr. Sikorski is careful to make the incision within natural skin folds to minimize their visibility. Liposuction – Dr. Sikorski also can perform neck liposuction, which removes excess fat. Typically, a comprehensive neck lift procedure will last two to three hours. If you are having a neck lift in conjunction with liposuction, facelift, brow lift, or other surgeries, the time will vary accordingly. Your exact procedure will depend on your desired results and your own personal circumstances. In order forMission Viejo and Orange County patients to undergo a neck lift, they must be in good general health, both physically and mentally. To correct this, Dr. Sikorski may recommend platysmaplasty surgery. Incisions are made under your chin and/or behind your ears to access the platysma (neck muscle) where she will use permanent sutures to hold the tissue in place. When possible Dr. Sikorski will use less invasive procedures with smaller incisions and use an endoscope (small camera attached to a thin tube) to complete your surgery. She will discuss all your options during your consultation. You and Dr. Sikorski will decide what type of anesthesia to use, depending on your level of comfort and the types of surgery chosen. If you want to remain asleep during the procedure, you should request general anesthesia. Otherwise, you may opt for local anesthesia with sedation. For the removal of excess fat accumulation, liposuction may be a part of your neck lift. A small incision is made below the chin and a very fine cannula is used to remove the excess fat. If you are undergoing multiple procedures during your neck lift, it is usual procedure to begin with liposuction. If this is the only procedure you’ll need, you should plan to spend up to an hour undergoing the liposuction procedure. 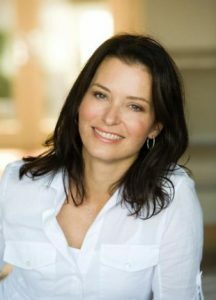 Dr. Sikorski will make incisions for a cervicoplasty, trimming parts of the skin and lifting the remaining skin into place. After surgery you will be fitted with a compression bandage that you will have to wear for at least one week, unless instructed otherwise. It’s important to follow instructions to ensure proper recovery. During your consultation, Dr. Sikorski will instruct you on what medications to avoid prior to your surgery. Certain medications and vitamins thin your blood and can cause increased bleeding and bruising. If you are a smoker, you will need to quit at least two weeks before the surgery and two weeks after. You cannot just plan to cut down. Recovery takes time and it’s important that you’re patient with the process. A care nurse is required post surgery for 24 hours. Most Mission Viejo and Orange County patients can return to work in 10-14 days You will have to wait at least three weeks, if not longer, to resume sports activities. Don’t rush! Taking care of yourself during the healing process should be your priority. What happens after my Neck Lift Surgery? As with any surgery, there is a risk of infection. Please keep a watchful eye on your temperature. At the first sign of a fever, contact our office. If you have unusual discharge from the incision site, such as pus, contact Dr. Sikorski immediately. BOTOX® Cosmetic injections to relax the parts of the platysma that are responsible for the “band” appearance. We look forward to meeting with you and helping you find the simplest solution to achieve the goals you desire. 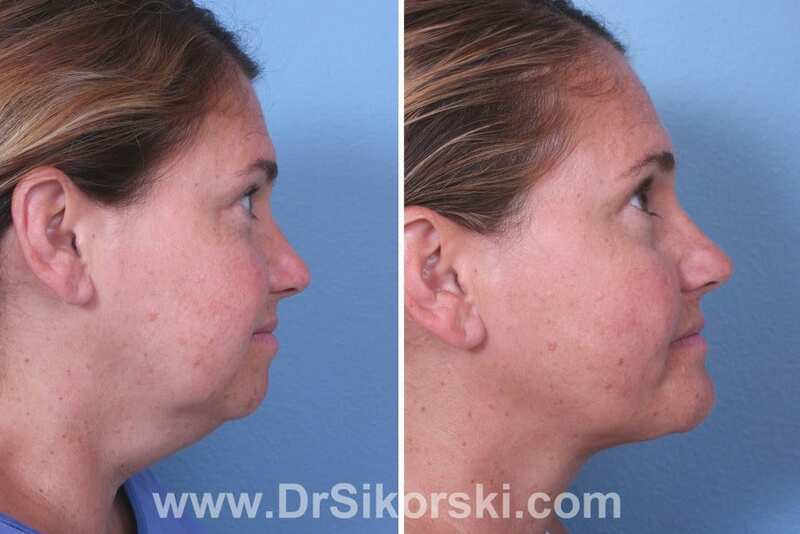 For a neck lift consultation, contact Dr. Sikorski in the Mission Viejo and Orange County area at (949) 448-0487.